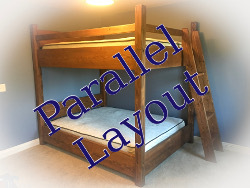 Custom made bunk beds of all sizes that LAST! Are you frustrated with furniture that breaks easy and is unsafe? 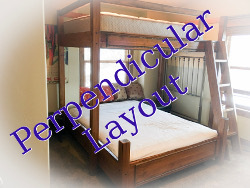 We design our beds to last and to withstand ADULTS! Take a look around and call us if you have questions or if you want to place a custom bunk bed in king or queen sizes and want to order, we can help you design and make your kid-sized or adult-sized bunk bed to suit your home and needs! Bunk beds should not be shaky or flimsy. When it comes to who's up there, you don't want to worry about someone falling in the night or the bed breaking or collapsing when someone climbs on it. We use handchosen lumber and our skills in building to make sure that each bed is strong and reliably safe. Our bunk beds are made from thick high quality wood that can withstand over 600 lbs. 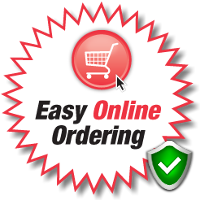 Ordering Custom Bunkbeds Online is Easy and Secure! Choose your Preferred Layout by clicking on one of these! Choose the style that you like the most! Choose your options and checkout! It's that easy! Most orders are fulfilled within 8-12 weeks!